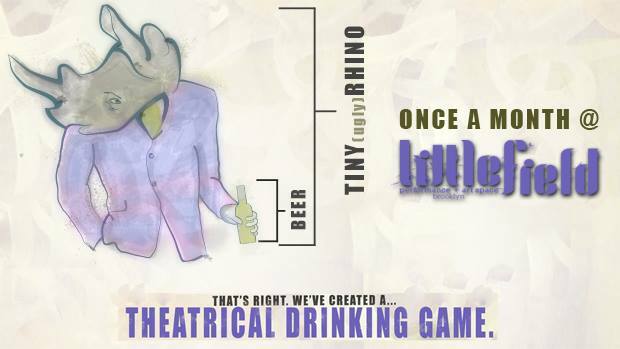 TinyRhino is: The Theatrical Drinking Game. 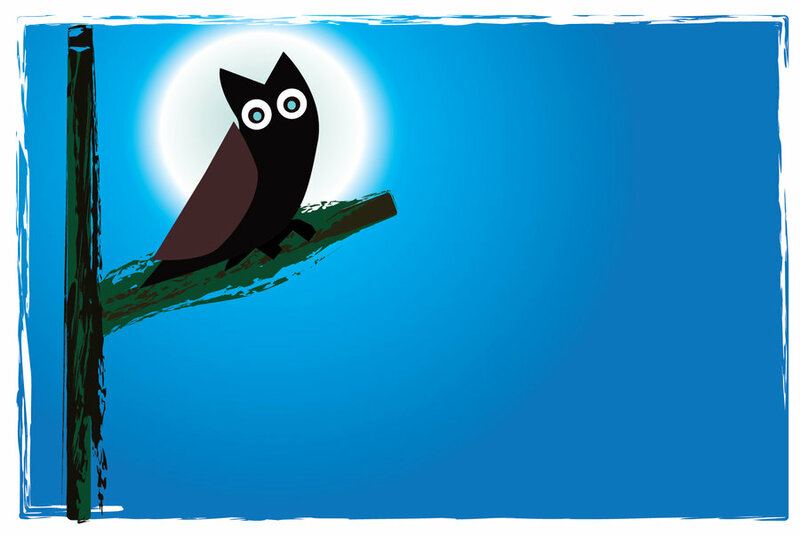 This month, we are excited to present six brand new plays with “TinyRhino: Ghost Stories”. Don’t be scared. Here, have a drink. Tickets are $10 and include one FREE beer. 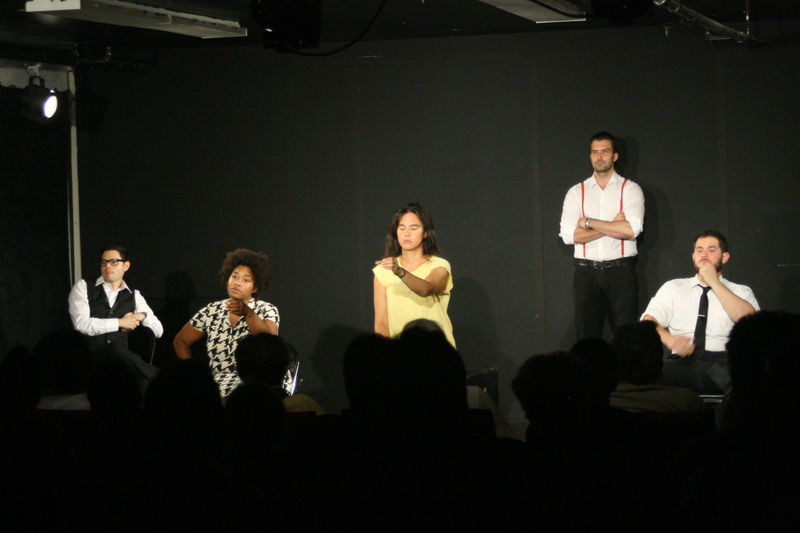 TinyRhino is UglyRhino’s take on the ten-minute play festival. Every month we commission six playwrights to write new plays, each including the same five dramatic elements. If you join us for TinyRhino, you’ll be given a list of these elements. They might show up at any time, in any order, and with any frequency. When they do show up, do you know what that means?! DRINK! Visit www.UglyRhino.com for more details. If you’re awake and feeling so inclined, come to The Flea and check out my #serial “Night Shift at St. Morgans,” performed by the illustrious Bats. If you like it, you can vote for me and I’ll have the opportunity to write future episodes. In addition to my #serial, there will be FOUR others to enjoys. Beer. Plays. Who could ask for anything more? 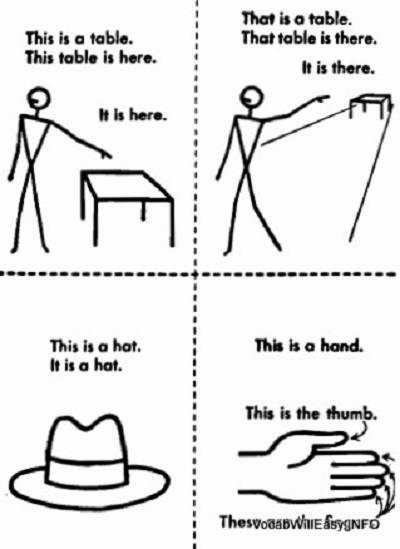 Plugging tomorrow’s THIS / THAT! THIS/THAT is The Brick Theater’s unexpected bi-monthly performance event. Featuring Ken Greller (theatre), Marcina Zaccaria (performance), Jake Bazel (puppetry/comedy), Quincy Scott Jones (poetry), and more TBA! Curated by Eliza Bent, Sam Chanse, Georgina Escobar and Amina Henry. Produced by Adam R. Burnett and Kate Schroeder. Every once in awhile, I do a little moonlighting as an actress so that my acting skills don’t completely atrophy. 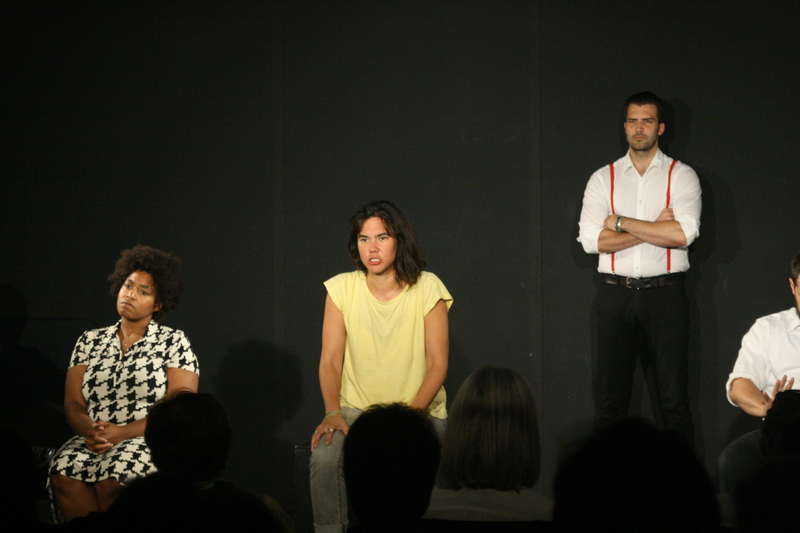 A couple of weekends ago I performed in HEAVENLY THINGS, a short play written by Liza Pross and directed by Jordan Dann. I’m grateful for the experience. Playwrights need to remain aware of what it’s like on the other side…memorizing lines is…a thing.